This game kept me entertained until the end. The whole concept of this game was amazing to me. 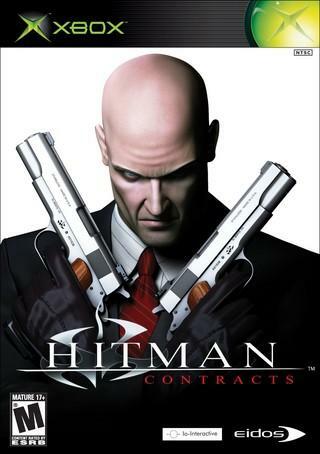 I had never heard anything good or bad about the Hitman games myself. I always knew they existed just never had the chance to pick one up. I was at a local bookstore and saw Hitman: Contracts for $4, so I grabbed it and thought I'd give it a shot. I was astonished at the potential this game had after playing the first few levels. Eidos made every level in this game unique and interesting. There were many wonderful levels such as the Insane Asylum, Biker Bar, Siberia, and many many more. The target of each level was to take out the Boss which was located on your radar. Stealth and weapon choice played an important role in this game, however, it didn't make the game boring at all because you did not always have to use it. You could either go in with your guns blazing, or silently strangle the enemy with his back turned and then steal his clothes and blend in. This is positively the best 3rd person shooter I have ever played right in front of Max Payne. This game kept me interested for hours and I just couldn't stop playing it after 2 hours. The only downside to this whole game was that it was WAY too short. When the last cut scene ended I was hoping for another wild level to play but then realized it was the end of the game.This game was great overall and I can't wait until Microsoft makes the 2nd one backwards compatible on the Xbox 360.